KATHMANDU, Feb 4: The Nepal Stock Exchange (Nepse) benchmark index rebounded 72.75 points this week to close at 1,382.45 points on Thursday -- the last trading day for the week. 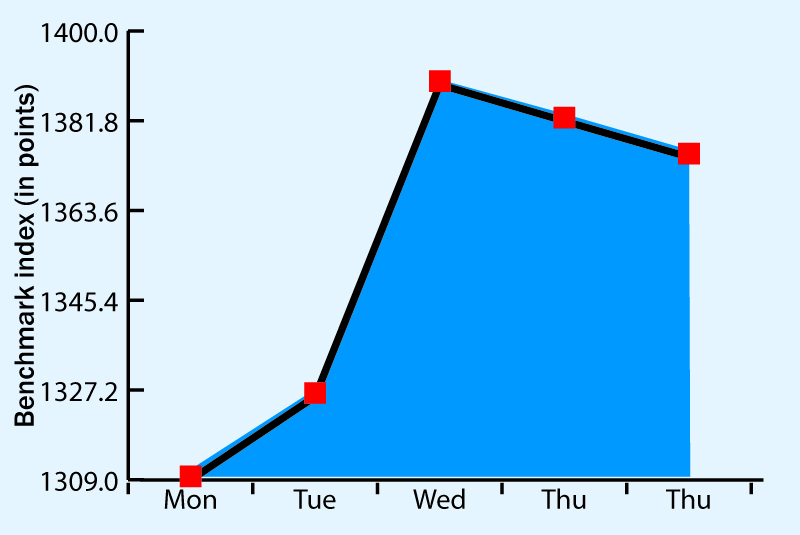 The week started on Monday -- the first trading day this week -- with a slump in the wake of interest rate rises and margin calls from bank and financial institutions (BFIs) facing a liquidity crunch, but there was a recovery in share prices in the subsequent trading days. 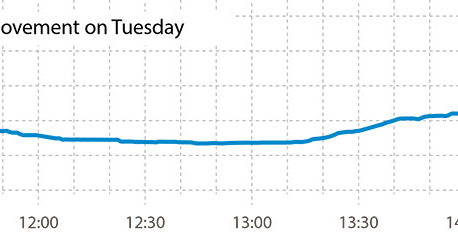 The Nepse benchmark index plunged 65.44 points -- or 4.76 percent -- on Monday when it closed at 1,309.7 points. 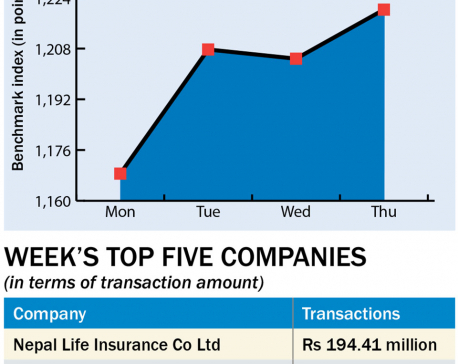 Analysts say a shortage in loanable funds in the banking system eased to some extent this week once nearly Rs 52 billion stuck in the follow-on public offering (FPO) of Nepal Life Insurance Company returned to BFIs, making investors less anxious about the margin calls from the BFIs. Similarly, an announcement by Nepse about the resumption of procurement and installment of a fully-automated online trading system also boosted investor sentiment, analysts said. “Since our market is small, it is dominated by small investors. They tend to react to or are influenced by any news or announcement. The first day’s slump was due to the credit crunch while the recovery later in the week owed to the announcement about starting the process of introducing a fully-automated online trading system,” Narendra Sijapati, former president of Stock Brokers Association of Nepal (SBAN), said. “It seems investors believed the liquidity problem would not worsen, so the rapid fall did not last longer. They reacted when they heard the automated online trading system would be introduced tomorrow, driving the stocks up again,” Sijapati, who is also the managing director of Kalika Securities Pvt Ltd, said. Earlier on Monday, Nepse issued a statement detailing the developments of the process of procuring and installing a fully-automated online trading system which had been halted after the Securities Board of Nepal (Sebon) intervened over the proposed cost, quality and procedural issues related to the company selected to supply, deliver and install the system, and also over the commissioning of the service. Nepse said it was resuming the process following Patan Appellate Court’s verdict on December 28, 2016, in favor of YCO Pvt Ltd -- the company selected by Nepse for providing such services-for the implementation of the contract between Nepse and YCO Pvt Ltd. Following the verdict, a meeting of the board of directors (BoD) of Nepse, on Tuesday decided to implement its contract with YCO. This meant the company would be installing the service by at most 14 months, according to the contract document. According to a source at Nepse, it would pay YCO nearly Rs 200 million for the service. Sebon was reportedly unhappy about the quality of the service provider and the high price that Nepse would be paying the company. All trading groups ended in the green zone this week, with the Insurance group leading. The sub-index for insurance companies jumped 321.31 points to close at 6,058.55 points. A total of 5.95 million units of shares of 156 companies worth Rs 2.21 billion were traded in the market this week through 20,660 transactions.